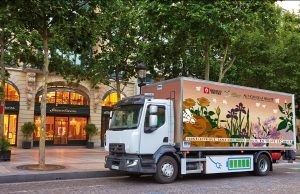 Time to embrace electric trucks? For those who love the sound of a big V8, or indeed a nice straight six, roaring into life as they press their foot down on the accelerator, might need to brace themselves. Electric trucks really are coming. In this issue you can read about Mercedes and its eActros while Renault has also announced it will be selling electric trucks from next year. Scania is also making great strides on electric trucks – and others using alternative fuels to diesel – and other manufacturers will inevitably follow suit. Those who think diesel will be king forever are, I’m afraid, unlikely to be proved right. In the same way diesel usurped coal-powered steam trucks over a century ago, the next ten years or so are likely to see huge strides in electric vehicles, and that means trucks as well. For the time being, yes, for longer distances, diesel is likely to remain the fuel of choice for the foreseeable. But in the same way the smart phone killed off Nokia, one day very soon, we’ll probably wonder how we lived without electric vehicles and we’ll take them all for granted. And we should embrace tehm. Electric trucks have the potential to be cleaner for the air – I say potential that because – currently – obviously there are emissions involved in electricity generation. And fewer emissions has to be a good thing. Recently we’ve seen more solar panel farms. Here’s an idea – what about putting those solar panels on the roofs of warehouses and RDCs, on truck dealers, supermarkets – any big building where the roofs are there just to be roofs! For some hauliers they could generate much of their own electricity to power these trucks. For those who will miss their diesel roar, well, I’m afraid you’ll just have to have a soundtrack of roaring V8s pumped through your truck’s stereo! Truckers are as important as doctors and nurses! We need truckstops where there are trucks!